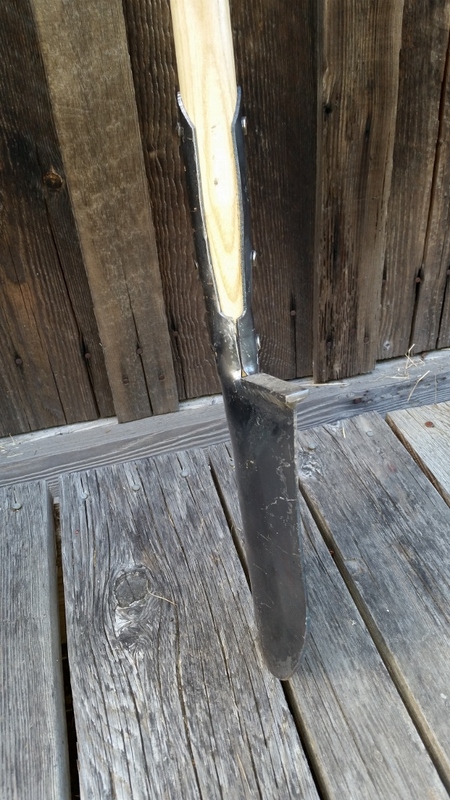 Home» Red Pig Originals » Rabbiting Spade or "Poacher's Spade"
A nimble spade for poaching rabbits. (or planting/ trenching). Please allow two to three weeks for us to make and ship this tool to you. In 19th Century England a fat rabbit was a big meal for a poor tenant farmer. But rabbits, and all game, were the sole property of the large estate holders. So the poor man had to poach a bunny or go without meat. So, when meat was scarce or the nobility was away from the estate, farmers would file down an old spade into a smaller, round-point and use it to dig out rabbits for their dinner. Hence, the name "Rabbiting" or "Poachers" spade. 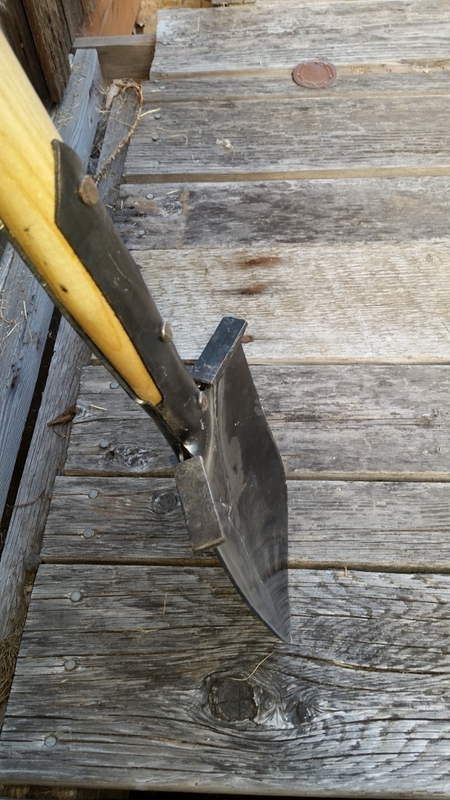 The rabbiting spade evolved over time for use on small jobs around the garden - planting perennials, digging a bit of a trench, or transplanting to avoid damaging other nearby plants. We mount it on a 48" helve, and if you are on the smaller side we can even put it on a 44" helve for you as well at no extra charge. Just add a note when you checkout that you prefer the smaller handle. 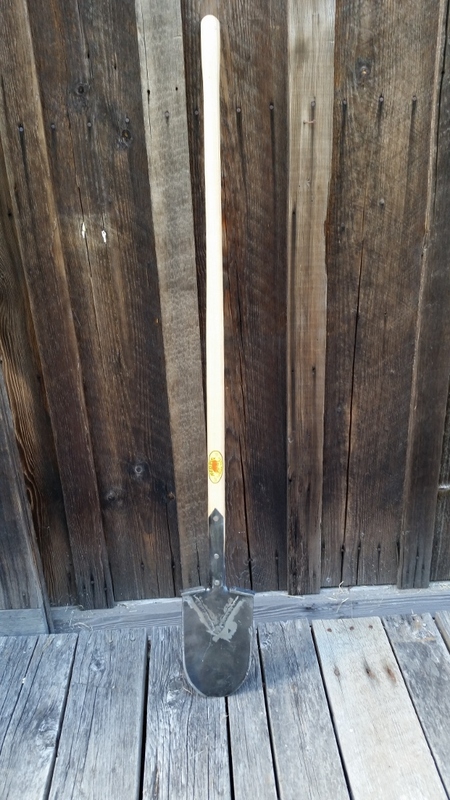 The blade has a tapered, rounded cutting edge and is about 9-11" long. The straps are roughly 8" and have 2 rivets. Overall it weighs about 4 lbs and measures to be about 57-60". The size, shape, and weight of this item means we must charge an additional $20 shipping fee to our flat rate shipping rate to accommodate for the actual cost of shipping it.